Loan repayment is not something anyone wants to think about, but unfortunately it’s a reality many people face. 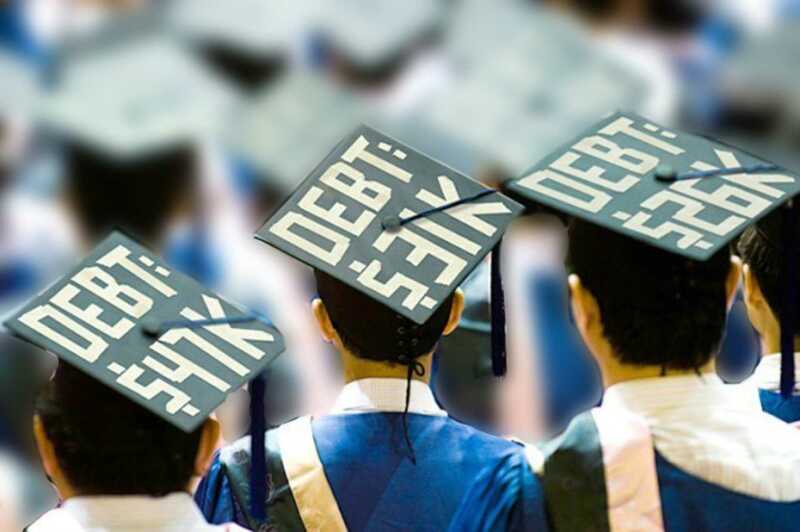 Recent data from the Federal Reserve shows that 44.2 million Americans currently have student debt, and those 44.2 million owe a total of $1.28 trillion. If you’re about to join this large, indebted group, you need to figure out when your grace period ends and how much you owe. Fortunately the U.S. Department of Education’s National Student Loan Data System, or NSLDS, helps to keep track of all of this. NSLDS is a U.S. Department of Education database which houses information such as, enrollment dates and information, federal loan information, Federal Pell overpayments, loan debt, as well as other information. It contains enrollment history for all colleges a student has attended and keeps track of all federal loans and grants a student has received. It’s a comprehensive system that allows you to get an instant view of all you have borrowed and all that you owe, along with other relevant details. It can go a long way towards educating yourself about your loan situation. “By reviewing your NSLDS report, you can be a smart borrower when it comes to loans,” said Lindsay Smith, a Financial Aid Counselor at the University of Pittsburgh’s Office of Admissions and Financial Aid. To sign into your NSLDS account, visit the NSLDS site and click on the “Financial Aid Overview” section. After clicking on this section you’ll need to provide your Federal Student Aid identification (FSA ID) username and password. If you have loans and/or grants, you likely created your FSA ID before or in the early phases of your college career. The FSA ID allows you to view your Department of Education student aid accounts, and it can also serve as an electronic signature. Upon providing your identification login, you’ll be taken to an overview of your federal student aid. The NSLDS overview shows salient details of your federal loans, such as the types of loans you’ve borrowed, the amount of money you’ve borrowed, the amount of money you owe, the interest rates of those loans, and the schools you’ve borrowed for. It also lists your loan servicer and how to contact him or her. Contacting you’re loan servicer can be helpful if you’d like to consolidate your loans, or if you just need help with how to pay off your loans. This system does not track Private Education loans, only the Federal Student Loans. This system can be quite helpful in effectively paying off your loans, but only if the information is completely accurate. It’s important for you to verify that you’re enrollment status has been correctly reported, as it can affect certain information. Incorrectly reported enrollment data can adversely affect your listed interest changes and repayment timeframe, so make sure to enter the NSLDS and verify your information as soon as possible. Student loans are a fact of life for many college graduates, and paying them off efficiently can make a big difference in your financial situation, whether it be the length of time it takes for you to pay them off, the interest you pay back, or how it affects your credit standing. Therefore, it’s important to keep track of what you owe, and the NSLDS is a great way of doing so. Make sure your information is correct and consult the system early and often; even checking while still in school is helpful, as it will help you plan during your grace period and ensure accuracy of your information for your repayment period. You attend college to achieve financial success, and utilizing this system has the potential to help in that mission.